• JPGs only — $350 an hour to shoot the wedding — includes saving all of the work as high-resolution JPGs onto a flash drive and an archival DVD. 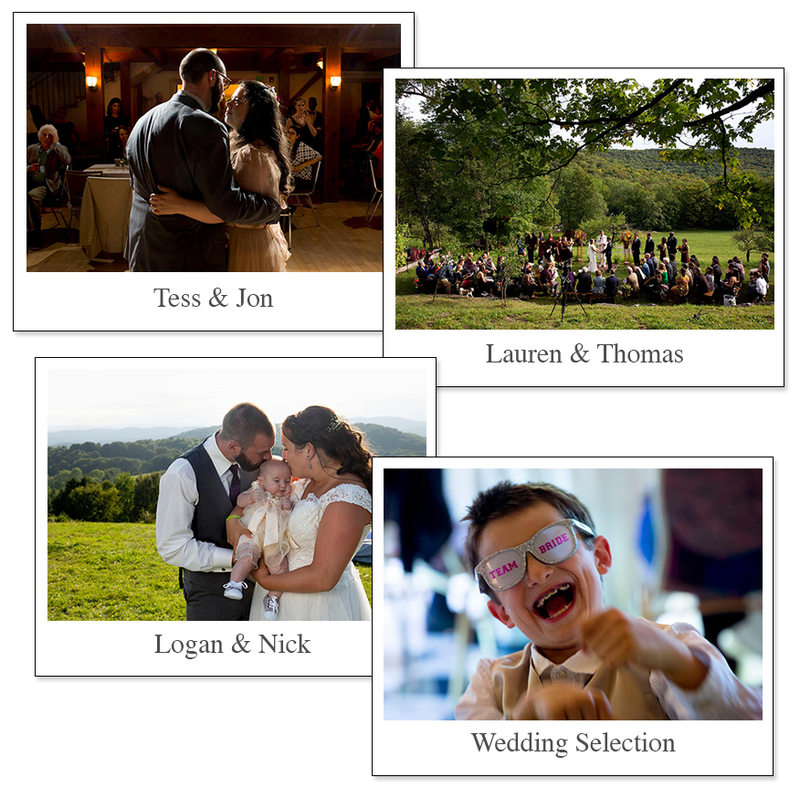 • JPGs and prints — $400 an hour to shoot the wedding — includes saving all of the work as high-resolution JPGs onto a flash drive, an archival DVD and 4×6 prints. • Both options include one year’s access to a password-protected web site for reprint orders. • I also charge mileage to travel to weddings outside of the Upper Valley.Please contact Geoff for references or more information. Wedding photography with film is also available — inquire if you are interested. Choose one of the images to see a group of samples. Or follow this link to see blog posts from recent weddings (and many others!). Documentary is how I can best describe my work. My goal at weddings is to show how the day looked and felt — being in the right place at the right time, when the special moments happen. But choosing a photographer is a very personal decision. There’s a wide range of photographic styles and approaches. My web site and portfolio are representative of what I do. 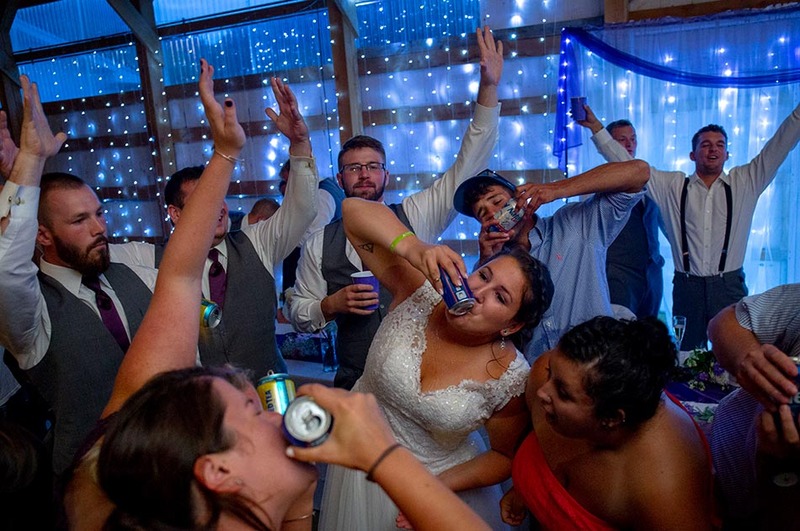 I want to have wedding clients who are comfortable with my type of photography. Why do you charge a flat hourly rate? I know weddings are expensive — I want to give you the flexibility to use my photography within your budget, and to give you a good estimate of how much my services will cost. How long do you stay at weddings? It’s entirely up to you. I have a two-hour minimum — I have worked as long as ten hours. I’ve found that five hours is a good amount of time to spend to get the range of photographs from getting ready, to the ceremony, to formals, to the reception, dancing and cake-cutting. I have two Canon 6D camera bodies that use a full-frame sensor. I also have an assortment of Canon fixed-length and zoom lenses, from wide-angle to telephoto. I use flash where it’s appropriate. During church ceremonies, my goal is to keep the focus on the vows and not on the photographer, which means no flash. And I look to use natural light as much as possible throughout the day to reflect the mood of the place. Do you take formal pictures in addition to candids? Yes, I do. Families love to use group pictures for holiday cards or to put them in a frame on the living room mantel. I’m happy to oblige. On average, I am making about one hundred photos per hour. For formal photographs, I tend to do more to be sure there’s good pictures with everyone’s eyes open. What guidance do you need from the bride and groom? About a month before the wedding, I check in to get an idea of the wedding day schedule and to see if there’s anything important I need to know about (like special guests or an unscheduled surprise). For the group pictures, it’s great to have a list together that we can check off as the pictures are taken. If there are a bunch to be done, it’s helpful to deputize someone who’s not in the wedding party to help gather people for the photographs. I’m happy to travel anywhere within New England or upstate New York near the Vermont border. If I am working at a wedding that’s over a three hour drive from Tunbridge, Vt., and I’m there after 9 p.m., I need to be reimbursed for a night’s stay at a motel. Outside of mileage reimbursement, there’s no travel fee. Travel outside the area is $0.30 per mile. There’s two photography rates, depending upon whether or not you’d like me to provide prints. For all weddings I photograph, an edited selection of the wedding is posted to a password-protected Web site at no additional cost. Do you do a contract? Yes, I do. If you’re interested in my work, I can send a CD portfolio with more work on it and a contract for your consideration. I need a $500 non-refundable deposit and a signed contract to save the date. Upon the receipt of your wedding photographs. What kind of prints do I get? I prefer 4×6 matte finish prints, without borders. About three weeks after your wedding. For couples who do not live locally, I ship weddings with prints by Federal Express’ Second Day Delivery with a tracking number. Digital weddings without prints are shipped by Priority Mail with a Delivery Confirmation number. There’s no additional charge for shipping. Most quality labs have a good selection of photo albums. Light Impressions is also a company that sells a range of archival storage materials. I’m not sure where to get prints made — can you help? I can definitely ask around to help find a good lab in your area. If it’s a new lab to you, I would also suggest trying out a photo lab. Give them one or two reprints to try making before giving them a big job. It’s also helpful to give them an original guide print to help match the color. There’s quite a bit of latitude in color printing. Yes, I do, and will be happy to provide current references upon request. Email is the easiest way to reach me. I will be happy to answer any questions you have.